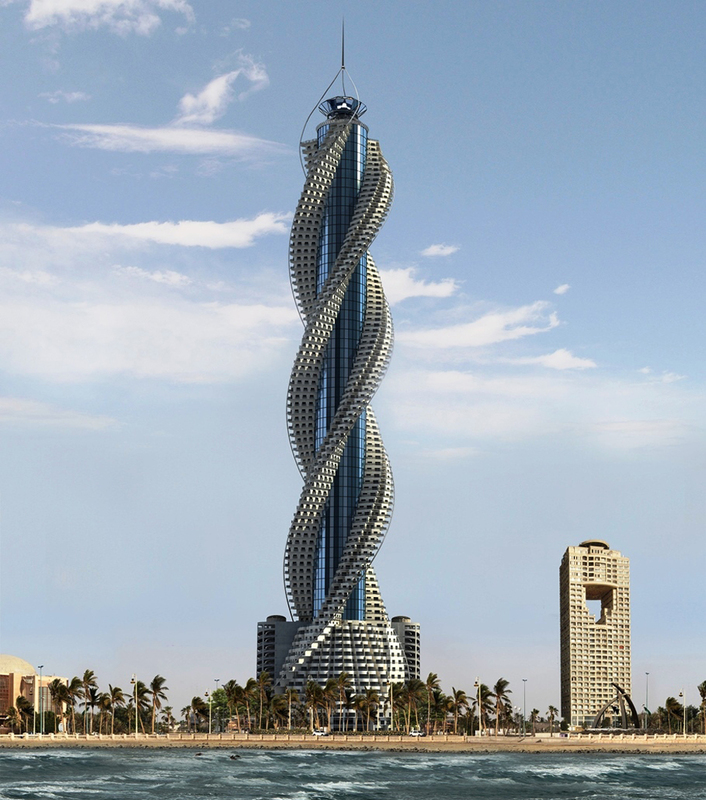 The Diamond Tower (above) being built in Dubai is perhaps the most impressive such spiral structure, its rotating floors extending out from a central spire and adding a dynamic visual layer. 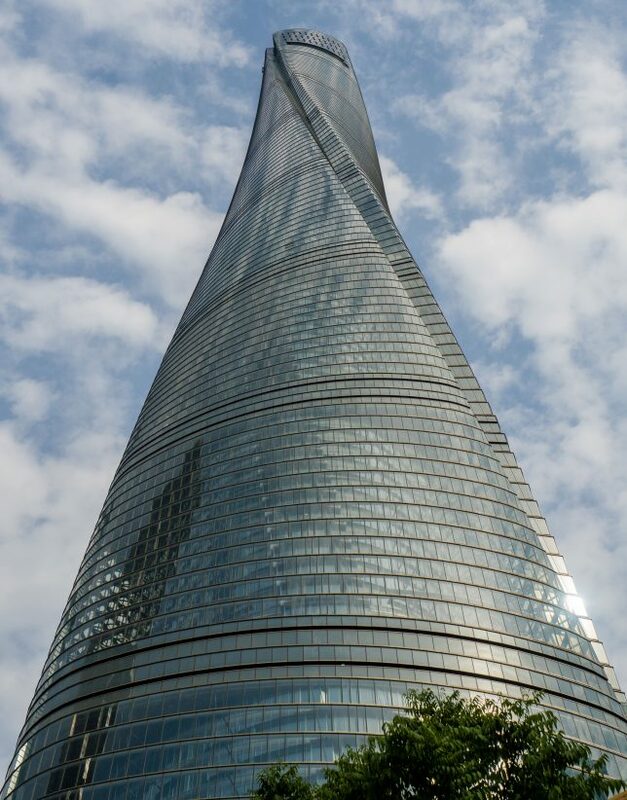 It is the second-tallest in the list. 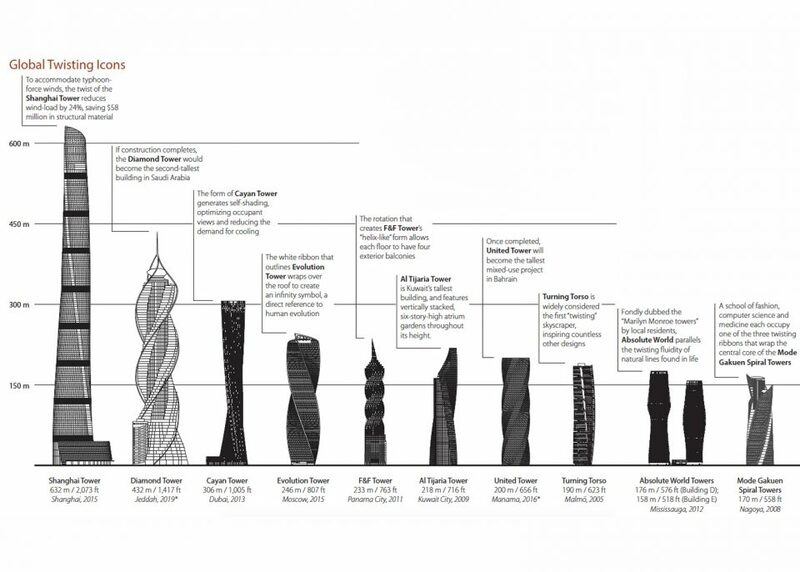 At 2073 feet, the Shanghai Tower by Gensler is the tallest to date (also the second-tallest tower in the world aside from its twist). 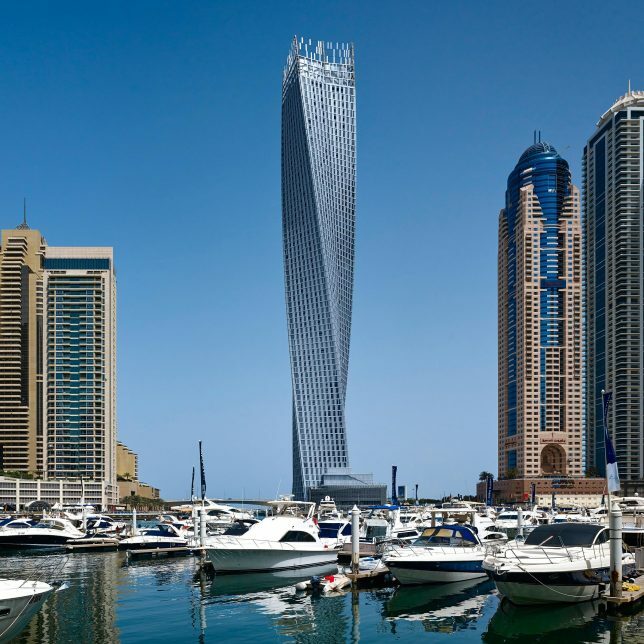 The CTBUH reports that these approach to tall architecture is trending around the world. While any single reason would be speculative, one can assume that the variation from floor to floor is part of the appeal, both for internal occupants and in terms of the dynamic profiles this variety entails.